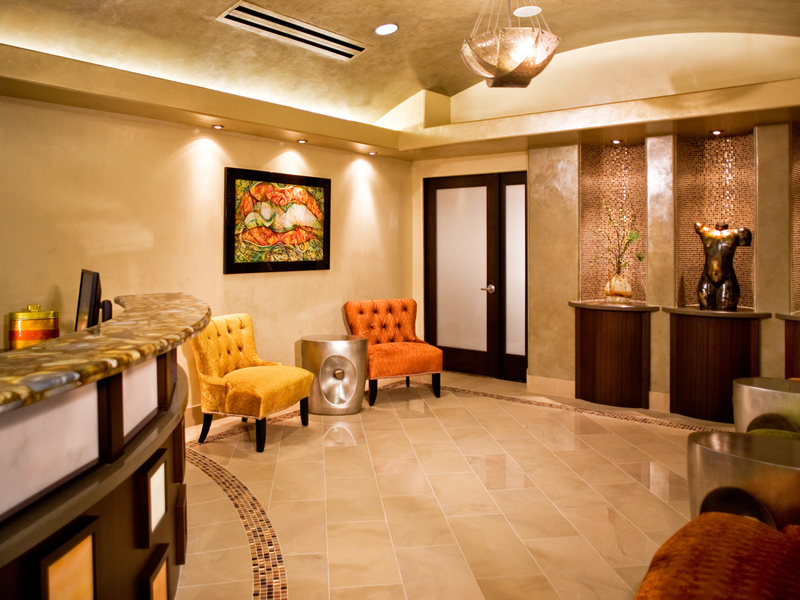 Lobby: Oversized travertine, plush area rug and a pebble floor treatment unite in a symphony of architectural details that transformed the waiting room of this Scottsdale, AZ doctor's office. 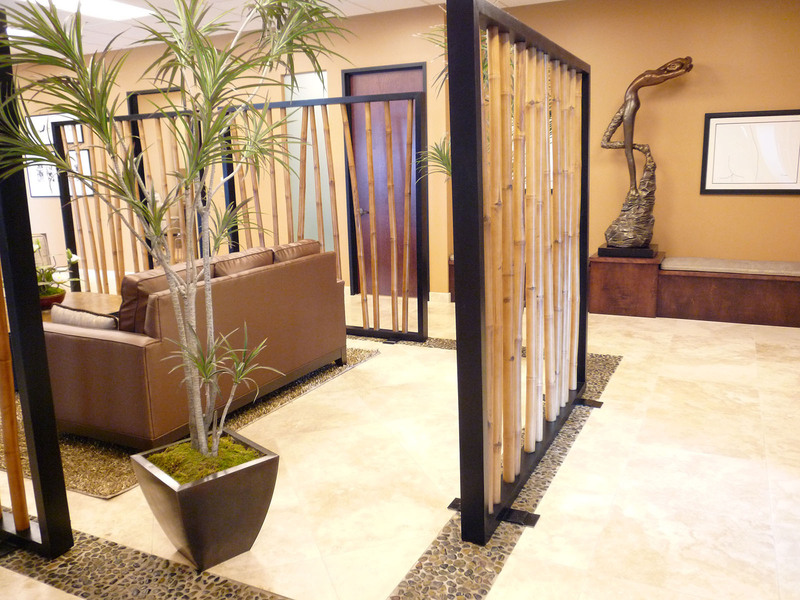 Bamboo screens and foliage add vertical definition while lending the space an air of privacy. 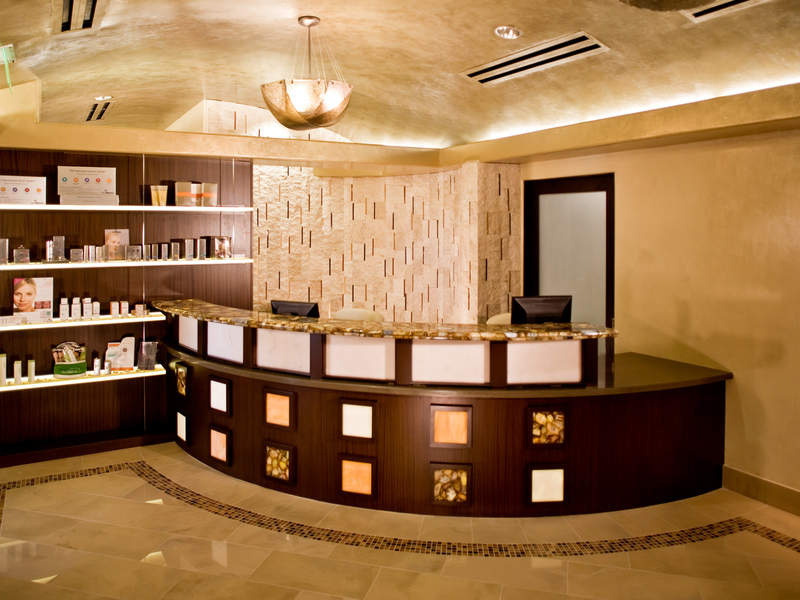 Reception Desk: Boasting custom elements like an etched copper fountain and acrylic panels of natural fibers and metal, the reception area of this doctor's office feels at once warm and organic. 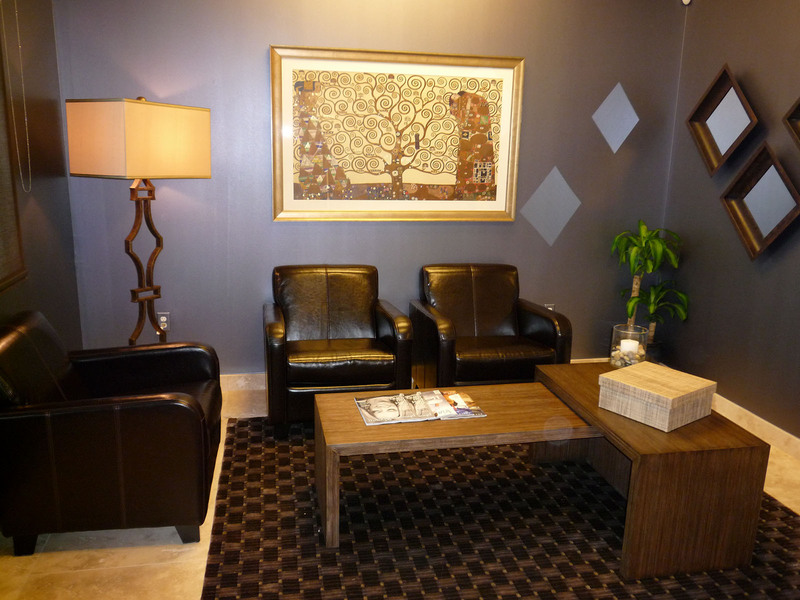 Lobby Entrance: Artwork lends a subtly soothing influence in this tenant-improvement project. 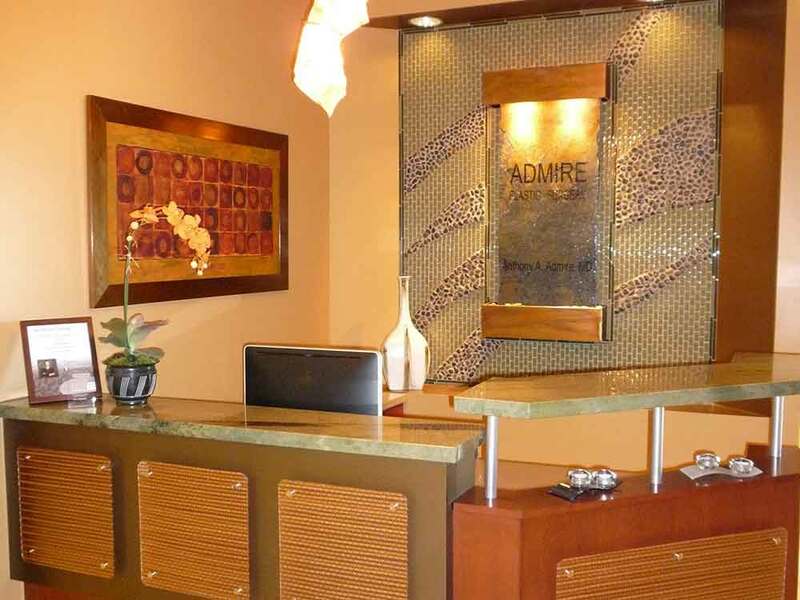 A stylized bronze statue of a woman rests atop a custom pedestal in a beautiful welcome to the patient waiting area. 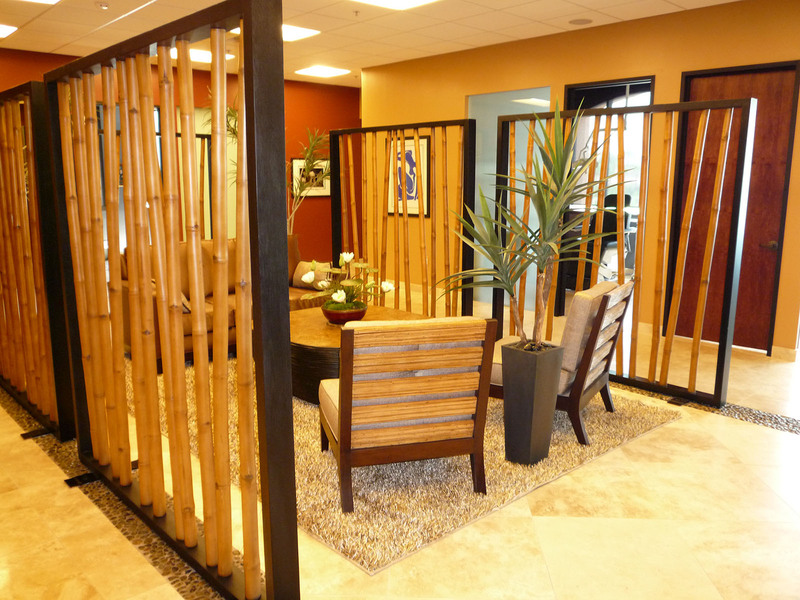 Bamboo Screen: Layers of texture create an exciting dynamic in this remodeled Scottsdale, AZ doctor's office. A bamboo screen affords glimpses of the stunning back wall, which is outfitted in tiger's-eye pebbles and a bronze finish. Procedure Room: Form and function unite in the interior design of this office's procedure room. While glass-front cabinetry and equipment make it easy for staff to work, the elegant glass backsplash adds a touch of sophistication. Lounge: Demonstrating the potential for change in office interior design, this lounge was created from an ordinary conference room. 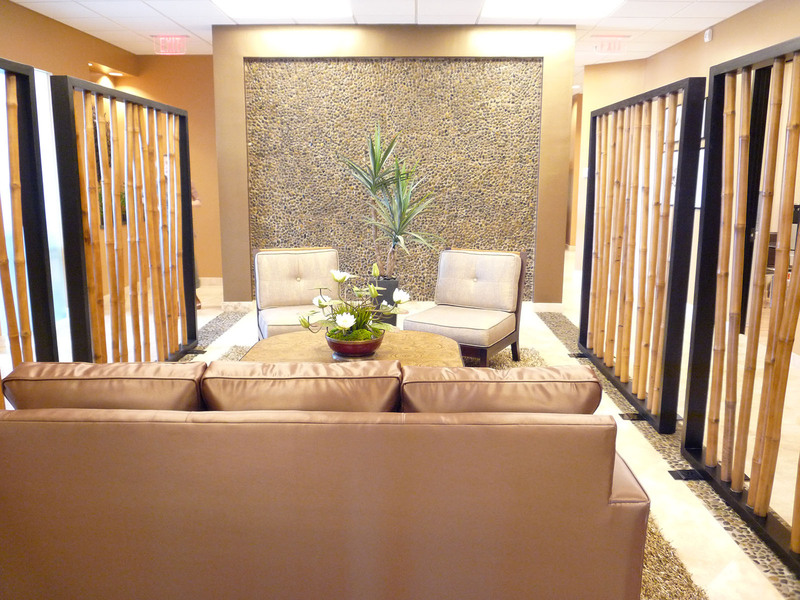 Now patients and staff alike can relax in privacy, courtesy of the bold drapery in front of the glass wall, the luxurious area rug and the striking, iridescent blue sofa. 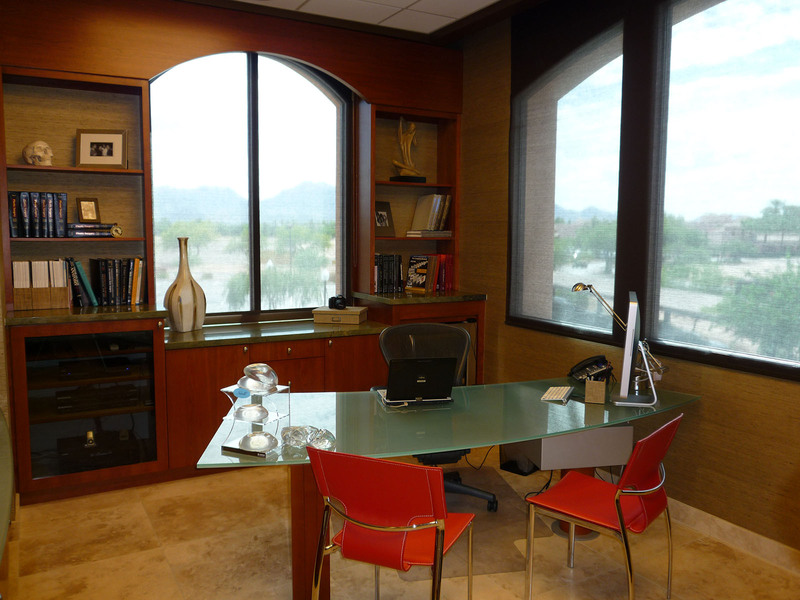 Office: This remodeled doctor's office in Scottsdale, AZ features a built-in credenza and shelving to conceal equipment and create an interior design that's as seamless as the views. 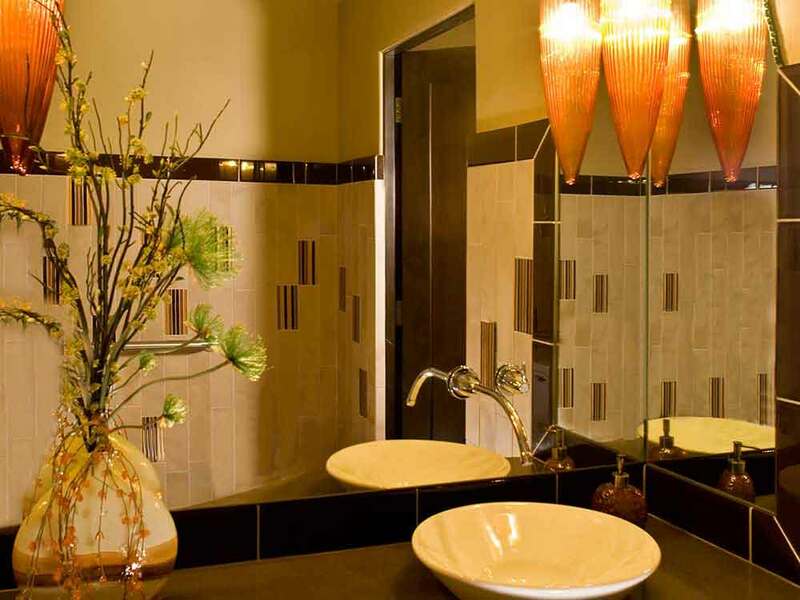 Bathroom: Even small spaces can make a profound impact, as evidenced by the bathroom in this Scottsdale, AZ doctor's office. A custom mirror reflects the rugged mountain peaks outside, while warm finishes prove that contemporary interior design can still feel inviting. Hallway: A mosaic border on the hallway floor emphasizes the curvilinear architecture, while glass walls create a lofty feeling in an otherwise narrow space. Reception Desk: Dynamic architectural lines, from the curvaceous reception desk to the pitched ceiling, receive added emphasis from the contemporary interior design. Backlit panels on the desk add geometry and color, while a stunning Brazilian agate counter is underscored by the mosaic-tile floorpattern. 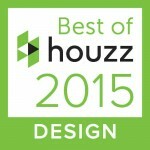 Warm woods and tactile stone add depth and dimension. Waiting Room: Sleek lines are warmed up by vibrant colors and accents of metallic tile in the niches for an effect that is at once elegant and glamorous. 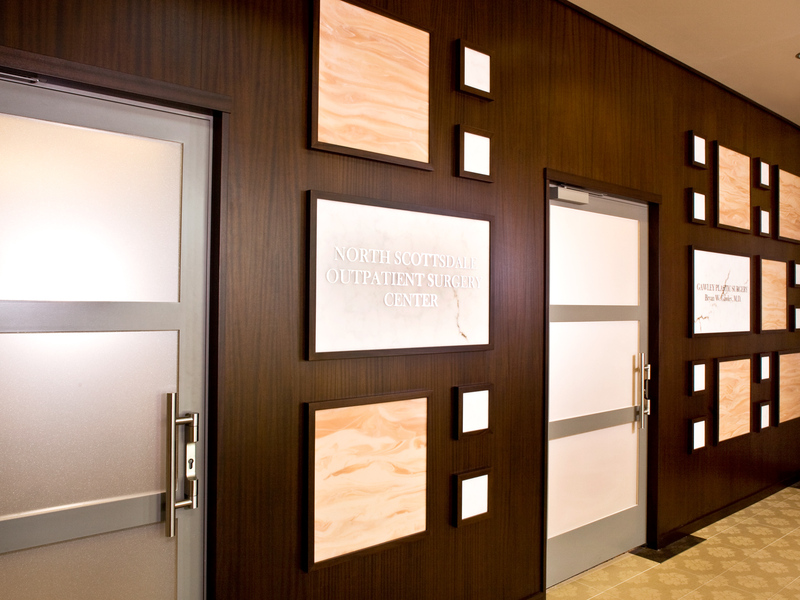 Entrance: Patients arriving at this Scottsdale, AZ doctor's office encounter striking architectural details like custom doors and wall panels. The stylish and modern effect sets the tone for the rest of the office.